He is the Minister of Tolerance in the new Cabinet announced in October 2017. He joined the Federal Government in 1992 and held a number of government portfolios including Minister of Higher Education and Scientific Research, and held the position of Minister of Education, and Minister of Culture and Knowledge Development. 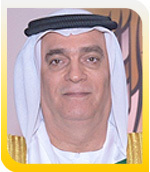 He was also Chancellor of United Arab Emirates University from 1983 to 2013; Chancellor of Higher Colleges of Technology from 1988 to 2013; and President of Zayed University from 1998 to 2013. His Highness Sheikh Nahayan Mabarak Al Nahayan received his education from the British Millfield School until the high secondary level before joining Magdalen College at Oxford University-UK. President, Institute Of Directors, India. He is President of the 'Institute Of Directors' and of the 'World Environment Foundation' (WEF). A Post Graduate in Electronics Engineering and MBA, he had specialised in engineering support to weapon systems of the Army. He has undergone extensive training in various manufacturing concerns in France, UK, USSR and Japan. He is a Chartered Engineer and Fellow Member of a large number of foreign and Indian professional engineering and management institutions. 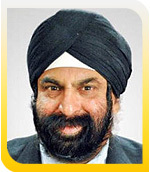 He has been Chairman of the 'Institution of Engineers (INDIA)' and President of 'Delhi Management Association'. He is present chairman of ‘Safety & Quality forum’ of the Institution of Engineers. 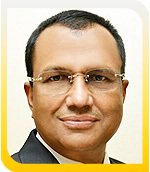 He is currently serving as High Commissioner of India to UAE. He joined Indian Foreign Service in 1983 and previously served as Indian Ambassador to Australia, and Egypt with concurrent accreditation to the Arab League (2012-2015). He served in India’s diplomatic missions in Cairo, Damascus, Washington DC, Dar es Salaam and London as well as India’s consul general in Johannesburg. He has also headed the West Africa and public diplomacy divisions at the Ministry of External Affairs. He received recognition and two awards for his innovative use of social media in public diplomacy. 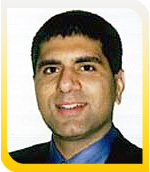 Mr Suri, speaks Arabic and French, graduated with a Masters degree in economics. 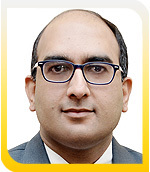 He has written on India’s Africa policy, public diplomacy and the IT outsourcing industry. His English translations of his grandfather Nanak Singh’s classic Punjabi novels were published by Penguin as The Watchmaker and by Harper Collins as 'A Life Incomplete'. He joined the Indian Foreign Service in 1998. He has served in Indian Missions in Cairo, Colombo and Geneva. In his diplomatic career he has dealt with diverse areas including political and commercial relations, development, disarmament, international security and media. For the past three years (2014-17), he worked with External Affairs Minister of India. Vipul did his graduation in Mechanical Engineering from Indian Institute of Technology, Delhi. He also holds an MBA from Indian School of Business, Hyderabad. His Excellency Sultan Al Mansoori is the Minister of Economy since February 2008 where he is responsible for the development of a wide range of economic activities including industry, Foreign Trade, Investments, Small and Medium Enterprises sector, Tourism as well as spearheading the Economic diversification policy leading to a knowledge-based economy. As per the new ministerial reshuffle in February 2016, the National Council of Tourism profile was added to the Ministry of Economy. Previously, His Excellency held a number of ministerial posts such as Minister of Transport (November 2004), Minister of Government Sector Development (2006). In addition to his ministerial position, His Excellency is the Chairman of the Federal Civil Aviation Authority; Chairman of the Securities and Commodities Authority; and Chairman of the Insurance Authority. He also chair a number of specialized Councils such as The UAE SME Council, the UAE industrial Coordination Council, the Supreme Consumers protection Committee. H.E. 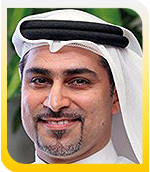 Sultan Al Mansouri holds a Bachelor’s degree in Industrial Engineering & Management Systems from Arizona State University, USA, and Diploma in Computer System Analysis from the Institute of Computer Technology, Los Angeles. He is the Chief Executive Officer of Dubai Investment Development Agency (DUBAI FDI), an agency of the Department of Economic Development, Government of Dubai. In his current role, he leads a team that develops, promotes and supports Foreign Direct Investment (FDI) opportunities and projects in Dubai and the region. He also serves as Vice President, World Association of Investment Promotion Agencies (WAIPA); Secretary General, Hamdan Center for the Future of Investment. He chairs ‘Dubai Investment Week’, and is also a member of the World Economic Forum Experts Network. Previously, Mr. Al Gergawi held senior posts with Dubai World Trade Center, Dubai Chamber of Commerce and Dubai Holding’s Dubai Properties Group, where he led trade, industrial and business development activities successfully. He holds a Bachelor degree from the United Arab Emirates University. He is an inaugural graduate of the elite Mohammed Bin Rashid Al Maktoum program for Young Business Leaders and a member of young Arab Leaders Foundation UAE chapter. He is the Global Managing Partner of McKinsey & Company, and leads the firm’s focus on the future of capitalism and the role business leadership can play in creating long-term social and economic value. 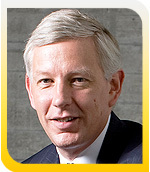 Previously, Dominic served as McKinsey’s Chairman in Asia (2004 - 2009). He also serves as the Chair of the Canadian Minister of Finance’s Advisory Council on Economic Growth and the Chair of the Seoul International Business Advisory Council; Chairman, Teck Resources- Canada's largest diversified resources company; and Chancellor, University of Waterloo. He is a Trustee of the Brookings Institution, a member of the Singapore Economic Development Board’s International Advisory Council. He is also a Founder of FCLT Global (Focusing Capital on the Long Term). Dominic has authored more than 80 articles on the role of business in society, leadership, financial services, Asia, history and the issues and opportunities facing markets worldwide. He is a recipient of the INSEAD Business Leader for the World Award (2011), the Korean Order of Civil Merit (Peony Medal, 2013), the Singaporean Public Service Star (2014), the Foreign Policy Association Corporate Social Responsibility Award (2017), and Canada’s Public Policy Forum Testimonial Award (2017). 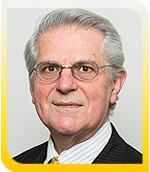 He is a Rhodes Trustee and an Honorary Fellow at Brasenose College, Oxford. Dominic is also an Adjunct Professor at Tsinghua University, Beijing. He continues to play a leading role in positioning DMCC and Dubai as a major international commodities hub for trade. Under his leadership DMCC has built and delivered the UAE’s largest and fastest growing Free Zone; ensured the UAE has 60 percent market share of global tea re-exports, enabled mainly by the DMCC Tea Centre; helped establish Dubai as the world’s leading physical gold market and one of the world’s top 3 hubs for the diamond trade. Mr. Bin Sulayem’s extensive knowledge of the diamond trade also led to his appointment as global Kimberley Process Chair on behalf of the UAE Ministry of Economy in 2016. The UAE Chairmanship saw Mr Bin Sulayem travel to 20 countries including Latin America before concluding the successful chairmanship with a speech on the draft resolution “The Role of Diamonds in Fuelling Conflict” at the UN General Assembly in February 2017. 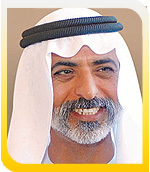 He is a prominent and highly respected citizen of the United Arab Emirates. A self-made man, he is Chairman of the Al Habtoor Group - one of the most successful conglomerates in the Gulf.Al Habtoor is known not only for his many business achievements but also his extensive knowledge of international political affairs; his philanthropic activity; his efforts to promote peace; and the fact that he has long acted as an unofficial ambassador for his country abroad. Writing extensively on both local and international politics, he publishes regular articles in the media and has released a number of books. Khalaf Al Habtoor’s long list of awards and achievements does not only reflect his business acumen. His willingness to take calculated risks to move ahead, that enabled the Al Habtoor Group to grow and diversify. 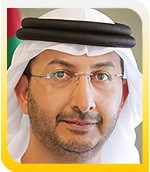 He is Undersecretary of the UAE Ministry of Economy (Foreign Trade and Industry. He was Diplomat at the Ministry of Foreign Affairs, UAE Embassy in Washington DC and UAE Embassy in Paris (2001 - 2004). He as Head of the UAE negotiating team in GCC and regional free trade negotiations (2006 till date) developed negotiation strategy and signed off free trade agreement with Singapore and EFTA. Now he is leading UAE team in the Negotiation of GCC- China Free Trade Agreement. 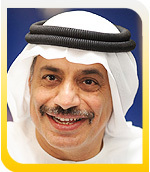 He is a Board Member of The UAE International Investors Council, Vice-Chairman of the National Committee of the World Trade Organization, Chairman of the Supervisory Committee on national initiatives for multiplying exports, Member of the Board of Trustees of the Business and Management School at Zayed University & Member of the Board of UAE Gender Balancing Council. He obtained his Masters in International Politics from The American University, Washington D.C., USA. 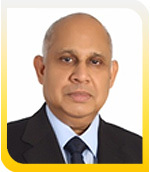 He is the Chairman and MD of Ravin Group of Companies. Ravin group is a leading player in the Indian power and energy. He has been Chairman of Cable Division of IEEMA. 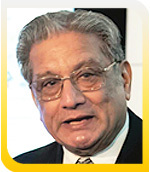 As Chairman and Managing Director of Ravin Group, he has been instrumental in leading the electrical cable segment in many ways by launching new and improved products from time to time, and has been a pioneer and largest exporter of cables from India. His is the first Indian cable manufacturing company to set up its manufacturing facility overseas in UAE. He was recently awarded as India's Most Inspiring Entrepreneur by the Economic Times and is considered as one among the top 50 Entrepreneurs by ET today. He is a leader in organizational change, and has spearheaded education, training, research and applied technology programmes in the United Arab Emirates and the Middle East for more than two decades. In 1989, following doctoral studies in engineering at George Washington University in Washington, D.C., he returned to the UAE where he took up senior leadership positions with the Higher Colleges of Technology (HCT) - the UAE’s largest institution of higher learning with 17 campuses. Five years later, he founded the Centre of Excellence for Applied Research and Training (CERT), HCT’s entrepreneurial and commercial arm. In 2005, he was HCT Vice Chancellor till 2015. 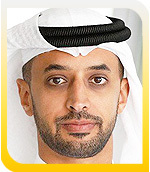 He joined the UAE Ministry of Foreign Affairs and International Cooperation in 2013. He has held numerous significant positions including Director, Department of Economic Affairs (2013-2014), Director, Department of African Affairs (2014-2016), and currently Ambassador of the UAE to India, since 2016. Prior to joining the Ministry, he has held several key positions in the private sector. Such as, Chairman, Dubai Quality Group; Deputy Director General, Dubai Chamber of Commerce & Industry; Dubai Expo 2020 and Dubai Rent Committee. 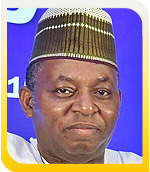 Over the course of his career, Dr. AIBanna has developed expertise in two key areas: developing business strategies and international economic affairs Ambassador AIBanna obtained a Doctorate degree in International Economics and WTO Agreements and a Master's in Business Administration from the University of Hull, in Yorkshire, England. He started her career with family Group her Tricon Energy Operations. Under her leadership, Tricon evolved into a conglomerate comprising of multinational firm. In 2008, she established Al Maskari Holding (AMH), the privately owned holding company of the Al Maskari portfolio and very well-known name in entire UAE. 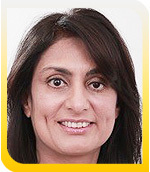 For corporate social responsibility, Dr. Shaikha founded the Global Institute of Justice & Technology and the Global Paramedic & Rescue Academy. Both have trained hundreds of UAE Ministry of Interior personnel in advanced police sciences, security, and emergency medical services and have won numerous awards. In 1993, she set up her family charity, United Mercy Foundation (presently operated underneath her family foundation), which sponsors orphans and orphanages and provides food, medical, and emergency relief in crisis zones in the Middle East, Africa and Asia. The King of Sweden has bestowed upon Her Excellency Dr. Shaikha Al Maskari the Order of the Polar Star, Member 1st Class. In honor of Emirati Women’s Day 2016, the UAE Authority published “Emaratiyah” a collection of profiles of the UAE Inspiring Women, H.E. 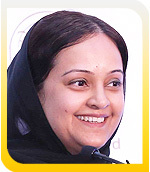 Dr. Shaikha was included as a leading a philanthropist. The same year, she was awarded the Emirati Honorary Shield for her pioneering Humanitarian contributions to the development of the State. She was recognized by Forbes Middle East in their 2015 list of 100 Most Powerful Arab Business Women, by the Federation of GCC Chambers of Commerce & Industry: “Award For Excellence In Leadership And Contribution to the Economic Empowerment of Emirati Women”; by Enterprise Asia the “2016 Asia-Pacific Woman Entrepreneur of the Year”; by the Australian Trade Minister: for “Making outstanding contribution to enhancing Australia-UAE Relations”; by the WWLCA: “Women Leadership Achievement Award 2015”; by Arab Woman Awards: “Emirati Businesswoman of the Year 2014; by Global Thinkers Forum: “Excellence In Business 2014”; by Petroleum Institute and Kuwait University: “For Contribution in Offshore Engineering”; by Am/Cham Abu Dhabi: Falcon Award 2013 “For Promoting UAE-USA Trade Relations,” and numerous other Awards. 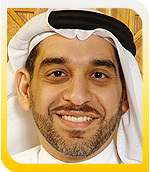 He serves as the Chairman of The Kanoo Group. He is also one of the most iconic business figures in the Middle East, listed in ‘Top 100 Powerful Arabs 2013’. A frequent speaker at conferences and has a reputation of a futurist and strategist. His speaking engagements include Forbes’s Middle East Forum in Qatar, World Summit of Innovation and Entrepreneurship in Dubai, The International Herald Tribune’s CEO Round-table in Malaysia, and other related business and social affairs in Europe, US, and so on. , The Kanoo Group as a prominent house name has developed local as well as world-class standards as evident in its brand value and consistent remarkable achievements through Shaikh Khalifa Excellence Award, ISO certifications, and as a UAE brand asset earning its Superbrands status, to name a few. He was an officer of the Indian Administrative Service (1967 Batch) of the West Bengal Cadre. He has served the Government in various capacities, including Secretary & Magistrate of various districts. 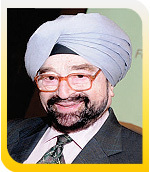 During 1992- 94, was appointed leader of the Indian Delegation to the UN Conference on Biological Warfare. In September, 1991 was appointed as Joint Secretary, Ministry of Civil Supplies & food & science & technology, Govt. of India. Currently he is the Director General of Institute Of Directors, India. 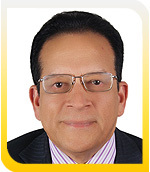 He has over 45 years' experience in globally-active banking and financial institutions. He was CEO & Ex. Co member in the Emirates Bank/Emirates NBD Group from (1985-2012) in Dubai. UAE. He is on the Board of several companies including ICICI Prudential Asset Management Company, IDBI Federal Life Insurance Co Ltd and Birla Sun Life Asset Management Company and is the Non-Executive Chairman Federal Bank Limited. Mr. Kumar was also the Founder of the Indian Business & Professional Council and has been the recipient of several accolades, including the “Hind Rattan” (Jewel of India) award on the 25th of January 2012. Mr. Suresh Kumar has graduated from the University of Bombay with a Bachelor of Commerce (Honours) degree in 1971. He also completed post-graduate programmes conducted jointly by the Stanford University and the London School of Business as well as an Advanced Management Programme at the Columbia Business School. 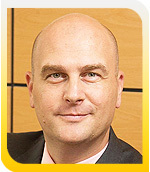 He is Managing Partner of Crowe Horwath (DMCC branch) in Dubai. Crowe Horwath is a member firm of Crowe Horwath International which is among the top 9 global accounting networks, consisting of over 200 independent accounting and advisory service firms, with close to 726 offices and 31,040 professionals. Currently he is elected as Chairman of The Institute of Chartered Accountants of India (ICAI) - UAE (Dubai) Chapter is the largest Overseas Chapter with over 2000 plus members. Elected and Served the ICAI Dubai Chapter in various key positions as Vice Chairman, Secretary, Treasurer, Executive committee member for the past several years. 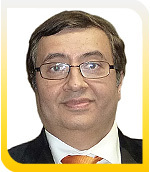 He Chairman of Steering Committee of MECA (Middle East CFO Alliance). Middle East CFO Alliance (MECA) is the largest CFO Networking Group based across Middle East region. Founder Member of Indian Chartered Accountant Toastmasters Club (ICAT) & Executive committee Member 2007-08. He is a successful sought after International motivational speaker, and executive corporate trainer in management and soft skills courses, Personal Development and Professional Education. With his humorous bubbly personality and unique delivery style, Paresh is a lively, dynamic and amusing public speaker and presenter. He is well known for his boundless Enthusiasm and Energy, with Exceptional passion, which is simply contagious. For the last 24 years, Paresh devotes and donates significant proportion of his precious time and talent, pioneering social service projects that create a positive impact on local communities and sustainable global humanitarian and environmental issues. She is founder of Brain Quest. Prior to this she was Director Quality, Strategy and Business Development. 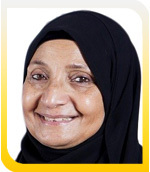 Samira started her career in 1994 and has diversified experience in banking, finance, manufacturing and investments. She worked for various national and international Banks within UAE. She held various managerial positions in UAE banks including Credit Risk and Corporate Banking Manager. 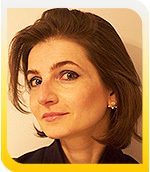 Currently, she holds the position of Director Quality, Strategy and Business Development in World Group Security. Samira is the first UAE national women who became certified Finance & Treasury professional in Australia; she is a senior member of Finance & Treasury Association Australia and member of the Australian Institute of Company Directors. Working on different consulting project in Australia from 2003 to 2006 Samira developed solid strategic and consultancy experience. 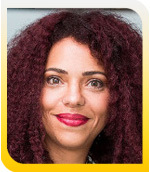 Samira Holds dual Master in Applied Finance and MBA from the University of Western Sydney. 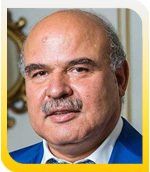 As the founding CEO of Emirates Integrated Telecommunications Company (du) since 2005 in the UAE, and the founding CEO of Egyptian Company for Mobile Services (Mobinil) in Egypt from 1998 to 2005, Mr. Sultan has been a transformational leader behind the telecom and information sectors. His distinguished achievements ranked him as one of the most powerful executives in the telecoms= industry in the world twice on the “GTBPower100 List” in both 2010 and 2011. He brings 35 years of leadership experience, rich with achievements in the telecom business. His vast knowledge and expertise in the field as early as the pre-internet period, placed him as one of the pioneers in France, Europe, the USA, Japan and the entire MENA region. An influential figure and mentor in the telecommunications sector, he is also notable public speaker in the field. 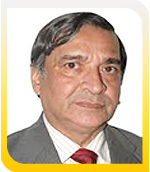 He is Advisor FAO and former Chairman, Institution of Engineers, Delhi. He is a Mechanical Engineer and has been involved with Environment and Energy Policy and planning and implementation of energy projects under the UN Agencies for over three decades in India and other Asian and Pacific countries. For his life time contribution, he has been conferred Engineer of the Year 2013 Award of Federation of Engineering Institutions of Asia and the Pacific. 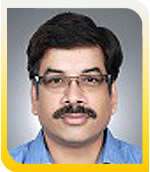 He was a Member of the Perspective Planning Group of Planning Commission; and Member of Energy Policy Expert Group. He is Vice-President, World Environment Foundation & Institute of Directors, India. He is the president of the Institute of Management Services, has helped directors in over 40 countries to improve board and corporate performance. An experienced director and board chair, he leads the International Governance Initiative of the Order of St Lazarus, is Chancellor of the School for the Creative Arts, Director-General, IOD India, UK and Europe, Chair of United Learning's Audit and Risk Committee. 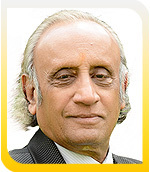 Honorary Professor at Aston University, Distinguished Professor at SRISIIM, Visiting Professor of Direction and Leadership at Lincoln International Business School and an Advisory Board Member of Bridges of Sports and the Arvind Foundation, The author of over 60 books and reports, he has held various public appointments and professorial roles in Europe, North and South America, Africa, the Middle East, India and China. Educated at the LSE, London Business School, UNISA, USC and the Universities of Aston and Chicago, A fellow of seven chartered bodies, Colin is a prize winner in final exams of three professions. He is the CEO of Grant Thornton in the United Arab Emirates, as a dynamic leader who has a professional and academic footprint in the United States, United Kingdom and across the Middle East region, he is known to be the driving force behind the growth strategies of many private and public organisations, who today continue to mature under his mentorship and strategic input. With over eighteen years of professional and commercial experience he has led high profile advisory engagements for some of the largest groups in the region. He is a prominent member of the education industry in South East Asia, Middle East and India and serves as a founding Trustee and Executive Chairman of Singapore based Global Schools Foundation (GSF), a not-for-profit organisation. He has presented several papers on education at various forums globally. In addition to several personal recognitions received in the field of education, Mr. Temurnikar is recipient of Walter L. Hurd Executive Medal from Walter L. Hurd Foundation, USA and the Asia Pacific Quality Organization. An engineer by qualification, he has completed his Masters in Management from the University of East London. 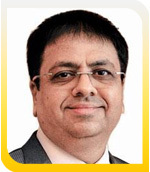 His career saw him venturing into the education sector after a 14-year stint in information technology (IT) firms like HCL Technologies Ltd and IBM (1997-2002). He is a Board of Director for HSBC Middle East Finance Company (MEFCO) and the Chairman of HSBC Sports Club. Marwan Hadi was appointed the Head of Retail Banking and Wealth Management (RBWM) for UAE in October 2017. He joined HSBC 13 years ago and has undertaken a number of senior leadership roles across both RBWM and Commercial Banking (CMB), including as Managing Director, MEFCO and Head of Business Management, CMB. He has a Masters in International Business from the University of Wollongong (Australia). He is the Executive Vice President of the Innovation and Future division in DEWA, and the Vice Chairman of MORO - Data Hub Integrated Solutions. He has more than 20 years of experience in the field of Information and Communication Technology. He has been instrumental in developing and achieving a number of technological advancements and initiatives at DEWA, such as Dubai 10X- the world’s 1st autonomous renewable-energy digital utility; the first AI-based Cyber Defense Centre and Digital Command Centre, amongst many notable others. He has also won the ‘Middle East Customer Experience Leader award’ (2018), and the ‘Executive of the Year’ - GOLD STEVIE WINNER (2017). Holds a Bachelor of Science in Chemical Engineering from Florida Institute of Technology (1989) and Master of Business Administration from University of Wollongong (2006). Has 27 years’ of experience at Emirates Global Aluminum in the field of operational management, Human Resources, Quality, Strategy, Innovation, and Environmental, health and Safety management in the process and service industries. Published several presentation in the field of, Water Desalination, Quality, Excellence and Innovation. Former chairperson of the Emirates Safety Group (2004-2007) and Dubai Quality Group (2011-2012), and an Advisor of Creativity and Innovation at Dubai Electricity and Water Authority since 2016. member of jury and advisory to ASQ MENA Quality and Innovation Award. 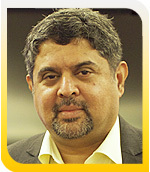 Sanjay Anand, CSOX-P, CGRC-P, Chairperson of SOX Institute and GRC Institute, USA. He is an internationally recognized and renowned expert on Governance, Risk Management, and Compliance and Controls. He is the author of half-a-dozen books on Sarbanes-Oxley, Corporate Governance, Dodd-Frank and more, and frequently speaks on these and related topics, at conferences around the globe.He is a Founding Member of NASBA's (National Association of State Boards of Accountancy) Center for Public Trust (CPT), and a member of the CEO Roundtable of the SOX Compliance Journal. He has the following degrees: MSc in Technology and MS in Computer Science from BITS Pilani in India, and MBA in Business and MS in Finance from Boston College in the US. She serves as the CEO of the Gulf countries for Schneider Electric. Prior to her appointment, she was Senior Vice President, Corporate Strategy and Human Resources for Energy Business in Schneider Electric; her scope covered over 29,000 employees worldwide. She was managing HR Business transformation and change management to support the Group’s profitable growth ambition while implementing best-in-class and innovative solutions. With 17 years of experience in Schneider Electric, she was also Vice President- Human Resources for North America, driving Schneider Electric’s organizational effectiveness priorities within US, Mexico and Canada, before she was appointed as the HR Director for the region. Ms. Darwish started her career at Proctor & Gamble. She is the Managing Director of GOVERN, an Economic and Corporate Governance Center which works alongside public and corporate leaders in advancing research, policies and best governance practices in emerging markets.Over the past 15 years, Alissa had the privilege to accompany executives and boards of leading private and state-owned companies on a range of governance reforms and strategic restructuring initiatives. She is a prolific author, having published books, articles and opinion pieces in leading international and specialized media including the Project Syndicate, the Washington Post and many others. 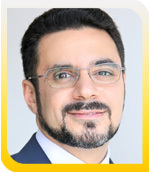 As CEO of the Corporate Strategic Affairs Sector within the Department of Economic Development (DED), Mohammed Shael Al Saadi has a strategic role in maintaining a competitive business environment in Dubai, in line with the Emirate’s reputation as a business hub and investment destination. Since joining DED in 2008, he is credited with developing a suite of smart services for Business Registration & Licensing (BRL) transactions and contributing to the UAE improving its global ranking in Doing Business year after year. 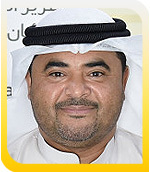 He is a member of Dubai Smart City Initiative (DSCI) Executive Committee. He is also a member of Dubai Smart Government (SDG) Executive Committee; a board member of Dubai Design District and its Chairperson of the Regulation & Policy Committee. 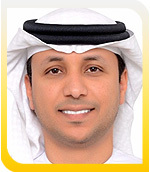 Lately, Mr. Al Saadi was nominated to Dubai Open Data Committee. Prior to joining DED, Al Saadi led the quality management and strategic planning functions within the Jebel Ali Free Zone Authority (JAFZA), where he was also Vice President in charge of Corporate Social Responsibility. 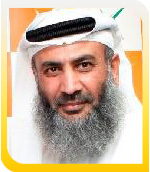 He has also served in the corporate quality and excellence team of the Dubai International Airport. His additional responsibilities at DED include Member, Executive Committee; Chair of Outsource Committee; Chair of the Smart Life and Transactional themes and Member of the Advisory theme of the Strategic Plan; and Acting Executive Director of the Strategy division. A Wharton Business Schools certi?cate holder, he has a Masters in Quality from the University of Wollongong (Dubai). He brings with him an experience of over 25 years which includes an experience of 12 years in handling business growth and expansion for various companies. He has held diverse roles in various companies including Blow Plast, Crompton Greaves, Wipro, Tally, Sify and Tata Consultancy Services (TCS). A greater part of his career; more than 15 years, has been dedicated to the Information Technology and Communications space, heading various functions and responsibilities including Quality, Sales, Marketing, Delivery, Product management culminating into business growth responsibility in his last few roles. Mr. Pant did his engineering from Bangalore University and is certified six sigma black belt. He is the Chairman, Azizi Developments, UAE; principle shareholder of the Azizi Bank in Afghanistan & Islamic Bank of Afghanistan. 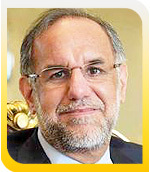 The Azizi Group was founded in 1989 by him. In a span of three decades, the group has achieved dominance in various sectors and international markets. His able leadership has steered Azizi Developments to become one of the leading private real estate developers in the region, with a portfolio worth over AED 45 billion and more than 200 projects in Dubai. Since its inception in 2006, the Azizi Bank has emerged as the largest banking group in Afghanistan, with more than 85 branches, and also the largest domestic lender in the country, contributing to more than 35% of all loans disbursed. The bank today, employs more than 1700 employees including expatriates and over 15% women. Azizi Bank acquired The Development Bank of Afghanistan, later transformed into the Islamic Bank of Afghanistan, and also the Punjab National Bank, India – Afghanistan. Mr. Azizi is one of the founding pillars in the establishment of the American University in Afghanistan. He also established the Azizi Foundation, an autonomous non-profit organization which works closely with marginalised populations to strengthen capacity building, and in the domains of education, health, infrastructure provision and economic empowerment. He has spent nearly 30 years with the Shapoorji Pallonji Group in different capacities and has been largely responsible for setting up and expanding the international operations of the group. 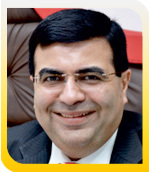 From April 2000 to date, he has served as the Chairman of Shapoorji Pallonji Mideast LLC. He is also the Chief Executive Officer of Shapoorji Pallonji International FZE, and a Director in Shapoorji Pallonji & Co. Pvt Ltd., India (SPCPL), Shapoorji Pallonji International FZC. 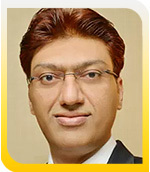 Mr. Saini has a Bachelor of Civil Engineering from the Thapar Institute of Engineering and Technology, in Patiala, India. He was appointed Assistant Foreign Minister of Economic & Trade Affairs of the UAE in July, 2017. Prior to this, from 2005 to 2016, he was the Group CEO of Dubai Ports World, one of the biggest ports operators in the world. In 2007, he was also appointed as company Director of DP World. Mr. Sharaf holds Executive Degree in Business Administration from the University of Arizona, Tucso. She is the Founder and CEO of A-1 Bearing Imports, Inc. headquartered in Los Angeles. She is a Board Director of RemitFunds, a European FinTech Company. She earned the prestigious Fellowship of NACD (National Association of Directors) and holds Stanford University’s Director College Certification. She has been a Business, Digital Media and E-Commerce Consultant for over 8 years. She has enjoyed consulting on Artificial Intelligence, Cybersecurity, Blockchain, Big Data, Machine Learning, Automation and Robotics. She has authored Beat Online Customers, created a FinTech App and written Sci-Fi Comedy Bollywood script. She graduated with a MBA from Pepperdine University in Malibu, California and dual Bachelors in Computer Information Systems and Business Administration with a Major in Finance and Economics from California State University, Los Angeles. She had written about how an increase in minimum pay would affect both small businesses, employees and the economy to the then President Barack Obama. She was fortunate to receive a reply from him, and 4 years later the study showed her predictions to be accurate. Her passions are flying, traveling, reading and attending Technology conferences. One of the nation’s leading Industrialists, Mr. Sanjay Dalmia is Chairman of Dalmia Group, and a former Member of Parliament. He is also a Founder Director of the Europe-India Chamber of Commerce (EICC) headquartered in Brussels; and Chairman, Indo-Israel Joint Business Council. He is a member of Board of Trustees, Indian Literary Society amongst others. 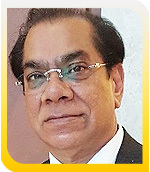 He has been active member of various Chambers, also on the Boards of many organisations, including Union Bank of India and Northern Committee of Industrial Development Bank of India. He is also an active philanthropist, pioneering the cause of Indian martyrs and founding the Bharat Maa Shaheed Samman Trust. Through his Dalmia Sewa Trust, he has worked extensively for improving health and sanitation for the weaker sections of the society, and in education through ‘Masoom’. All these efforts and activities are carried out from the Dalmia Group’s own resources with no aid from the District Administration or from any outside agencies. He was appointed as Director- Projects with the Telecommunications Consultants India Limited (TCIL) under the Ministry of Communication, Govt. of India in 2015. He has more than 30 years of experience in different fields of Telecom. 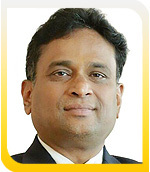 He is a Director of various TCIL subsidiary companies, including TCIL Oman LLC, other than Intelligent Communications Systems India Ltd.(ICSIL) and TBL International Ltd. (TBL). He is also the Appellate Authority, RTI for TCIL. Previously, he also worked in various divisions and undertakings of the Government of India like BSNL and MTNL.An engineer from Delhi College of Engineering, he obtained his post-graduate Diploma in Management in Public Policy & Management from MDI (Management Development Institute), Gurgaon. He is a Sr. IAS officer of the 1996 batch. He joined as Chairman and Managing Director, Maharashtra State Electricity Transmission Co. Ltd. (MSETCL) in May 2018. Prior to this, he was posted as the Special Commissioner in Sales Tax. Mr. Jaiin is an Electrical & Electronics engineer from IIT, Delhi and has more than 20 years of experience in spheres of Management and Administration. Coming from the Port and Industrial Zone in Sohar, Mr. Lammers joined Abu Dhabi Ports with over 20 years of experience in Logistics, Commercial and Operational Management, Maritime Logistics, Port and Free Zone Development across the GCC and Europe. In 2016 he served as Corporate Development Manager at Florencis Group, a holding company for a group of logistics companies. In this role he was responsible for business strategy, developing reporting schemes and increasing customer service experience. He has also been the Managing Director and Board Member at Progeco Holland, a company specialised in the running of containers and storage facilities throughout Europe, including Rotterdam, Antwerp, Hamburg, Bordeaux and Marseilles. 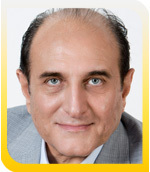 He is a visionary Entrepreneur with more than 40 years of professional experience in business leadership in UAE, leading all Tristar Group activities spanning Surface Transport, Ocean and Coastal Transport, Specialized Warehousing, Fuel Farm Management, Turnkey Fuel Supply Operations, Commercial Aviation Services, Lubricants and Chemicals Distribution. He is on Board of & Committee Members of Tristar Holding, Tricore and Trychem, Swiss International School, Dubai, and Member international Business Professional Council. Ranked among the Top 100 Indian Leaders in the Arab World for 2014-2018 – Forbes Middle East Magazine. 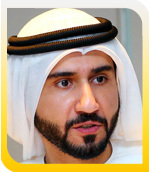 He currently works in the UAE Prime Minister’s Office, as the Director for the Government Leaders’ Programme. He is an experienced Lead Director with a demonstrated history of working in the government administration industry. Previously, he was also leading the HR Transformation, Workforce Planning & Analytics and HR Capability Building (HIKE) at the Mercer Group, Middle East. Prior to this, he was the Head of People Excellence, at The Executive Council, Government of Dubai; and a HR Specialist with ETISALAT. 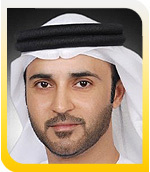 He has a Master’s Degree in Public Administration from the Mohammed Bin Rashid School of Government. She is the first recognised Indian woman medical professional and senior-most lady entrepreneur in UAE who has worked tirelessly towards the welfare of Emiratis and expats when healthcare access was very limited in the 1960’s. 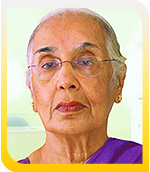 In the past 5 decades, she has revolutionised the healthcare landscape and inspired others to follow suit. Today, Zulekha Healthcare Group boasts of super-speciality hospitals, medical centres, educational institutes and pharmacies in UAE & India. Appointed to our Board on May 12, 2004, Mr Lee Wan Lik is responsible for overseeing the Group’s overall management and operations, including project management and the provision of consultancy services. Prior to founding Azeus in 1991, he was a Manager in Oracle Systems (Hong Kong) Limited. In 1990, Mr Lee was a Project Team Leader at the Versant Object Technology Corp. (now Versant Corporation). He was also a Researcher at the Microelectronics and Computer Technology Corporation in the United States from 1987 to 1990. Mr Lee holds a Bachelor of Science in Computer Science and Engineering and a Bachelor of Science in Mathematics from the Massachusetts Institute of Technology (MIT). He also has a Master of Science in Computer Sciences from the University of Texas. 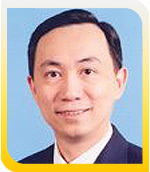 Mr Lee is a Fellow of the Hong Kong Institution of Engineers and past Chairman of its IT division. He is also a Fellow of the British Computer Society and the Institution of Engineering and Technology. 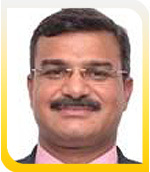 President (2019 – 2020) of The Institute of Companies Secretaries of India, CS Ranjeet Pandey is also an Insolvency Professional, registered with IBBI and has over 15 years of experience in the field of Corporate and Commercial Laws. An ex-officio member of Advisory Board of Sri Aurobindo Foundation for Integral Management (SAFIM), he was also member- Working Committee of MCA for streamlining ‘Working under the Companies Act, 2013’. He is also a Member of the Steering Committee of National Foundation for Corporate Social Responsibility (NFCSR), Ministry of Corporate Affairs, Govt. 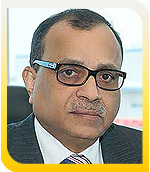 of India He has been instrumental in carving the ICSI Vision 2022. A Company Secretary since 2004, he is a prominent advisor in the area of Corporate Restructuring, Insolvency & Bankruptcy, Commercial Contract and Agreements, SEBI and Capital Market matters, Audits, Compliances & Due-diligence of Business. 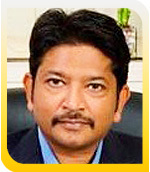 He is a Law Graduate from Faculty of Law, University of Delhi and a Graduate in Science (B.Sc). He is the Founder and Group Executive President of the Africa Asia Scholars Global Network (AASGON). Approved by the United Nations former Secretary-General, Ban Ki-moon, he is a Signatory to the United Nations Global Compact (UNGC), Member of the UK Stakeholders for Sustainable Development (UKSSD), Affiliate Member of the International Association of Universities (IAU), Member European Alliance for Innovation (EAI), Strategic Partner, Danubius Academic Consortium (DAC) and Advisory Council Member/ Associate of the Association of Universities of Asia and the Pacific (AUAP). For well over a decade he worked in partnership with UNICEF and international organisations such as ILO, USAID, Africare and the UN NGO Children’s Rights Committee.